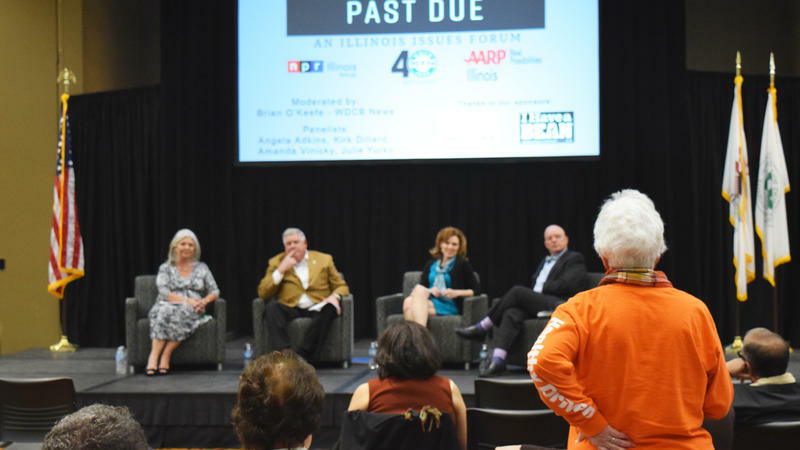 Sean Crawford (standing) and the panel: (left to right) Jim Edgar, Beverly Bunch, Brian Mackey, and Donne Trotter listen to an audience question at the 2018 Illinois Issues Forum seeking solutions for the state's fiscal health. 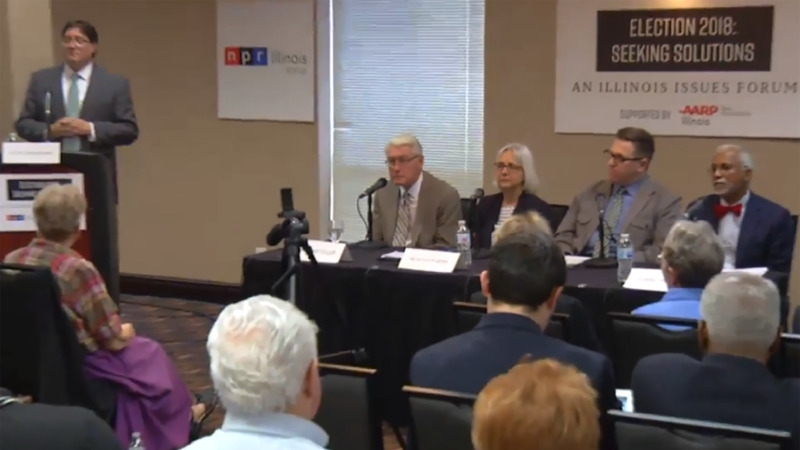 Listen to the discussion of solutions Illinois can pursue to improve its fiscal health. Former Governor Jim Edgar, State Senator Donne Trotter, budget professor Beverly Bunch, and statehouse reporter Brian Mackey offer analysis and answer audience questions. 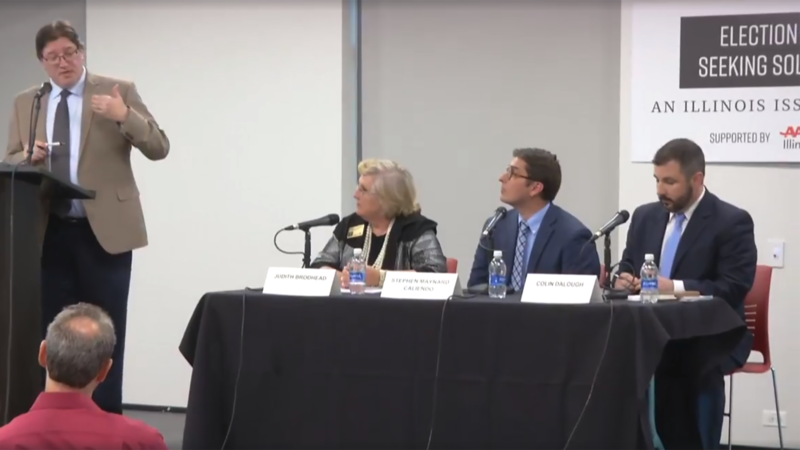 Watch this Illinois Issues Forum from Naperville. 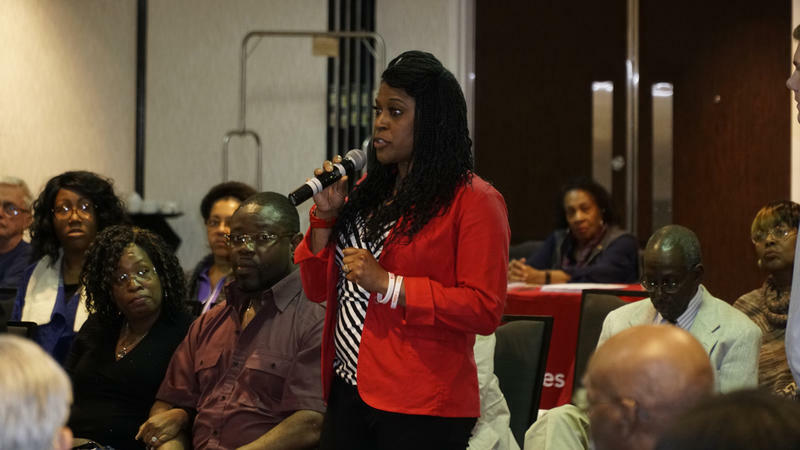 Our 2018 election coverage continues with a discussion of economic development in the collar counties of Chicago and how the state issues influence their well-being. 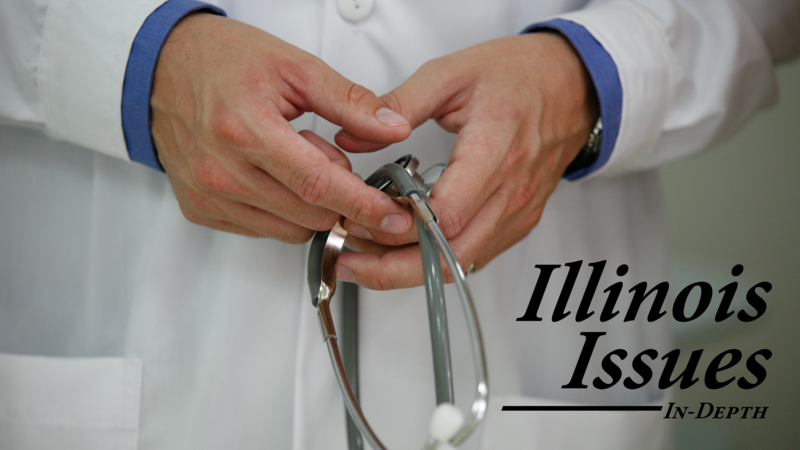 During the more than two years that Illinois went without a state spending plan, hospitals, dentists and other health care providers waited months or even years to get paid for services to state employees and Medicaid patients. 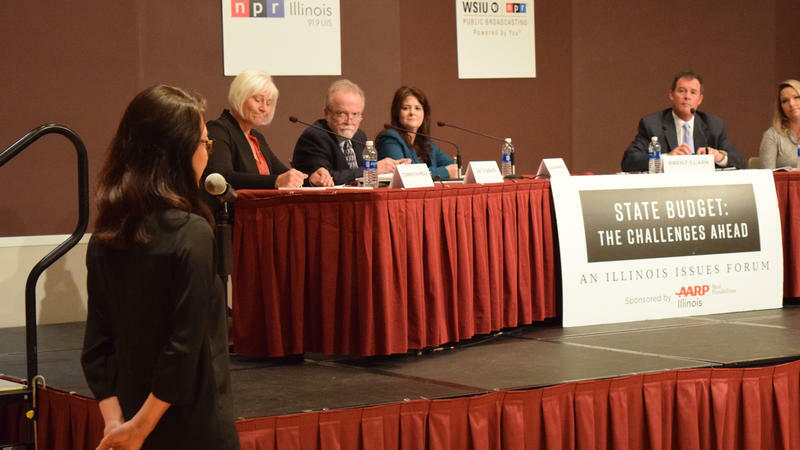 NPR Illinois and WDCB hosted an Illinois Issues Forum on the state budget and how it has impacted DuPage County on May 23. 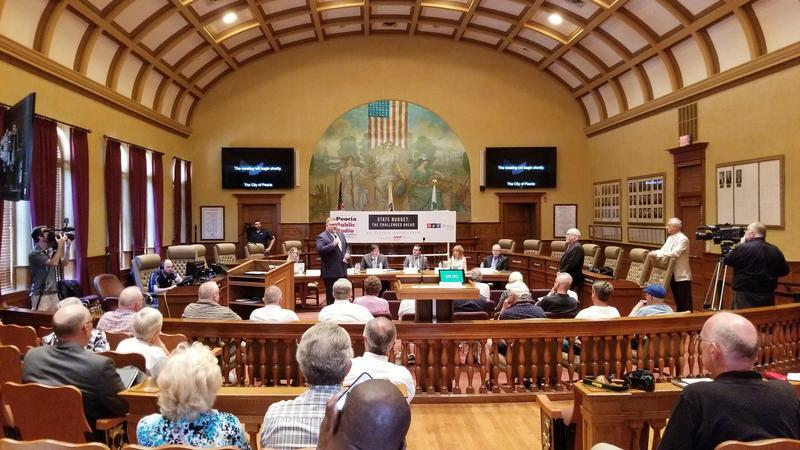 NPR Illinois continued its listening tour on the state's fiscal health co-hosting an Illinois Issues Forum in Peoria on July 20. Community members attended to tell how they have been impacted by the state budget impasse.